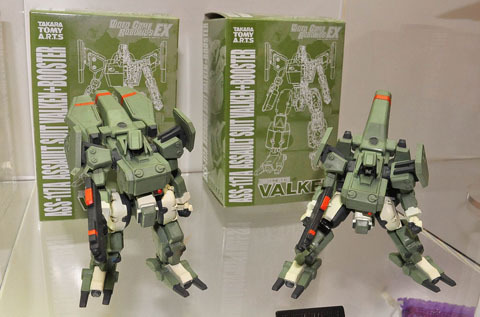 Much like the other Valken figure we recently mentioned, this one features the same booster pack but in the traditional green colours (instead of desert camouflage). This was released at last year’s Winter Comiket as a special figure. Thankfully, Tokyo Hunter is taking orders and at 1000 yen it’s a very nice bargain to boot. 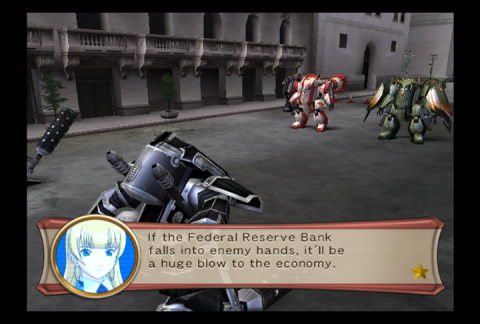 Sakura Wars: So Long, My Love, the steampunk mecha SRPG from Nippon Ichi America, has a pre-order for the game available at their store, Rosenqueen. Most notable is the fact that Sakura Wars preorders from Rosenqueen include a hardcover art book, which is a different item from the PS2 Premium Package’s artbook, so if you pre-order the PS2’s Premium edition from Rosenqueen you walk away with no less than two different artbooks, as well as a poster and an extra disc containing the Japanese voices (the standard edition is English dub only). Considering that the price point for all this is currently only $50, this feels like one of the old Working Designs packages, just without that old Working Designs premium price. Definitely a good last hurrah for the ageing PS2 platform. The Wii version is also still a go, but other than the hardcover artbook you get from pre-ordering at their store, you don’t get any of the extras the PS2 version gets. To make up for this, it’s available for $40, pretty nice for a next-gen release and a lot better than the other shovelware that gets released for the system at the same price. There’s also a fan art contest (more info here) for you artistic types. You may remember a while back that we posted about a collection of classic mecha gaming gashapon released by Takara Tomy. Truth be told, most of the figures in the set were pretty woeful but a few weren’t. Notably, that of the assaults suits from both Leynos and Valken. 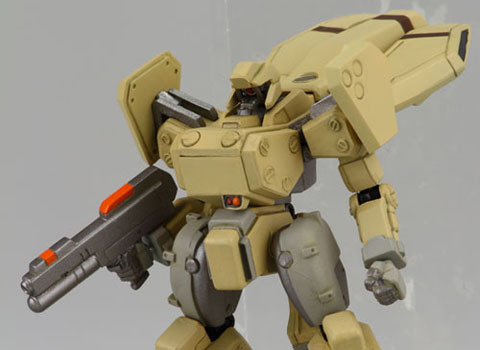 It seems that the Japanese online shop, AmiAmi, is releasing a custom desert camouflage Valken figure from the same line. In addition to sporting a new colour scheme the toy also has the booster pack attached to its rear. 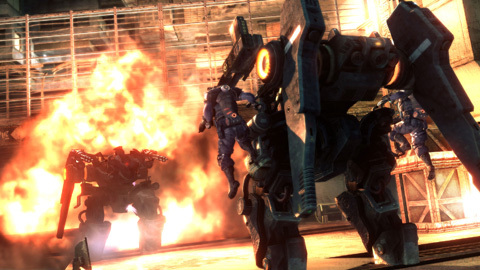 This was seen in the second mission of Assaults Suits Valken (or Cybernator as it was released in the West). The figure will be released in March 2010 for 1000 yen, though you can pre-order it now from AmiAmi. Many thanks to Matthew Hawkins (aka Fort90) for pointing this out. We mentioned not that long ago about a new line of commemorative gaming releases for Gundam’s 30th Anniversary. Well, they’re now out with places like Play Asia stocking a fair few. 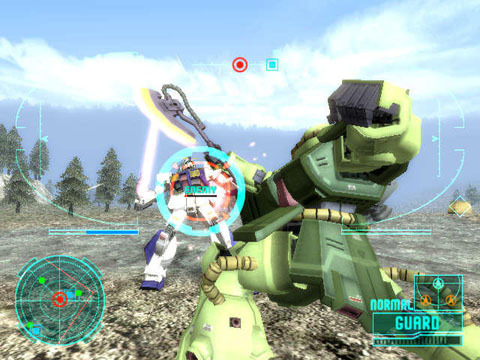 Our personal recommendations would be Gundam MS Sensen 0079 an FPS on the Wii, pictured above, and Gundam Battle Universe a third person shooter on the PSP. Neither of these games will probably see a Western release so you’d best acquire them now whilst they’re available at their new reduced price point. We will be reviewing both games in the new future though, so also keep an eye out for that. 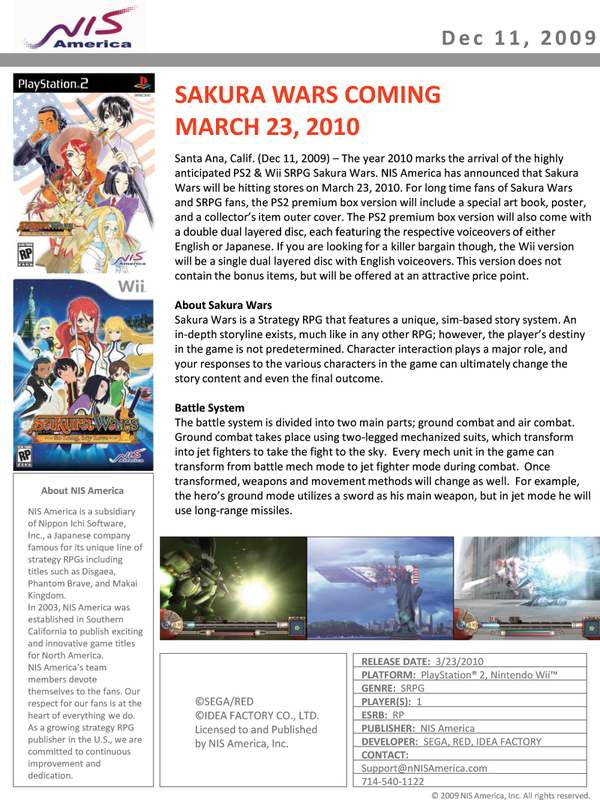 Nippon Ichi America sent out a release giving the release date for Sakura Wars in the US as March 23rd, 2010. There seems to have been a bit of confusion early on, as some sites were reporting February, but the March date is the more recent one and straight from the horse’s mouth. I’m actually glad for the delay, as I think it’s wise to give Sakura Wars a bit of space from the other January and February releases, which given the amount and quality of the games coming out after Christmas, I’d be worried an already niche title like Sakura Wars could get crowded out. 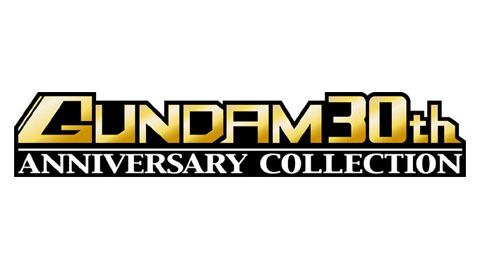 To commemorate Gundam’s 30th Anniversary, Bandai Namco are re-releasing a selection of best selling Gundam games at a reduced price in Japan. Some of these games are still Japanese exclusives, which is a shame as the recent Wii game developed by Team White Dingo was superb and it never made the jump abroad. 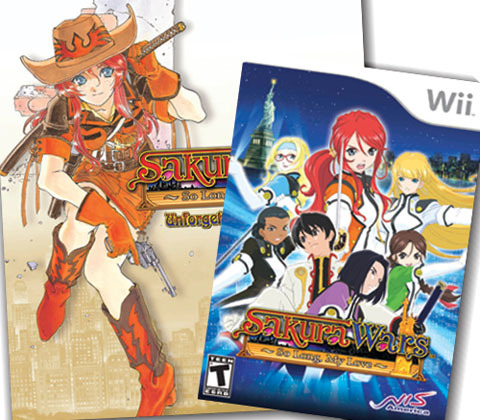 Likewise, Artdink’s excellent PSP games are still without a Western release. These anniversary versions will hit Japanese stores on the 17th December. The Japanese release date for Tatsunoko vs Capcom Ultimate All-Stars has been announced to be the 28th January next year (two days after the US release and a day before the European launch). This is the updated version over Cross Generation of Heroes, which only saw a Japanese release at the end of last year. 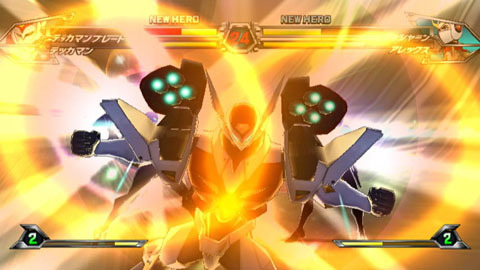 Ultimate All-Stars will also feature the much loved Tekkaman Blade, seen above, as a playable character. 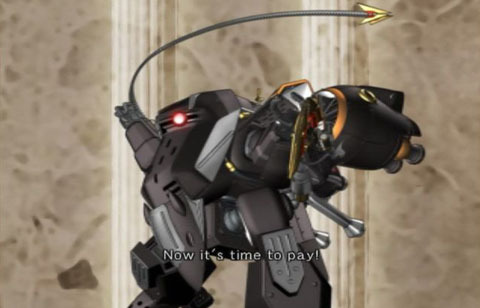 Naturally, in Japan, Bandai have been a tad shrewd about this and scheduled a release of the Armor Plus Tekkaman Blade toy to coincide with the launch of the game. This is not to be confused with the recently released set that also included Pegas, as the Armor Plus toy is a much larger rendition of just Blade himself. A new promo video for Super Robot Wars Neo is now online. This video is particularly noteworthy as it shows the new non-grid based map setup and how that interlinks with the battle system. In short, it looks to be masterfully fluid in terms of how the strategy will work out. Naturally, this is ideal for Neo as it’s being clearly aimed at a younger audience due to its slightly kiddy mecha show line-up. 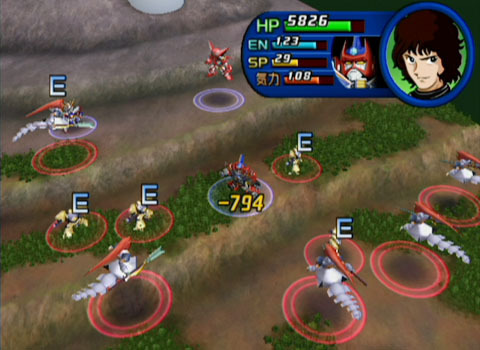 That said, having a similar setup for the subsequent Super Robot Wars games would also work extremely well as it would add more tactical intricacy and depth if handled well. The game’s release is still scheduled for the end of October in Japan.